It was a Jam packed weekend and boy am I tired now. After a long few days at work I am now chilling out writing my blog at my home office desk whilst a thunderstorm passes. This weekend was full of all sorts of activities and to be honest although I am exhausted, I am glad we did all that was planned. I feel like I have achieved so much. 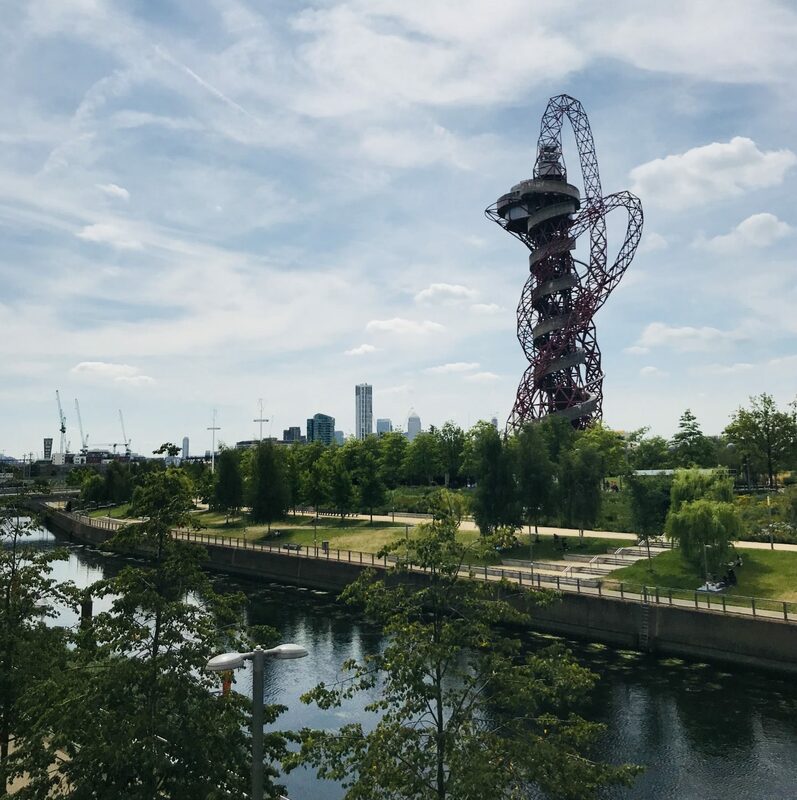 Saturday started with heading up to the top of the ArcelorMittal Orbit in Westfield and then on the slide that takes 30 seconds to get down back down to ground level, at a speed of what feels like 100 miles per hour. It’s not for the faint hearted that’s for sure. The unexpected twists and turns on the slide brought a sense of panic. Although you are suited and booted for the slide with the helmet and arm pads, you have to keep your head up rather than flat, which is actually pretty difficult to do when you are going at speed. We had a Go-Pro attached to our chests so the entire time our faces were being filmed. The angle of the camera is not very flattering at all by the way. I would recommend doing this if you are visiting the Olympic Park or even shopping at Westfield Stratford to add another dimension to your day. That’s exactly what we did before shopping in Westfield. 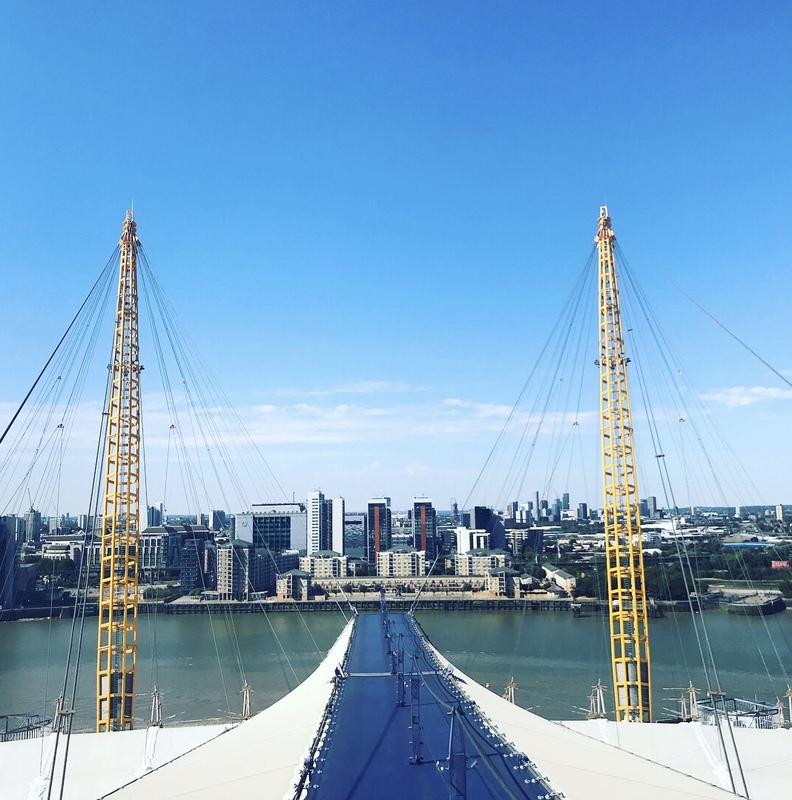 Another thrill seeking adventure was climbing the O2 arena on Sunday. 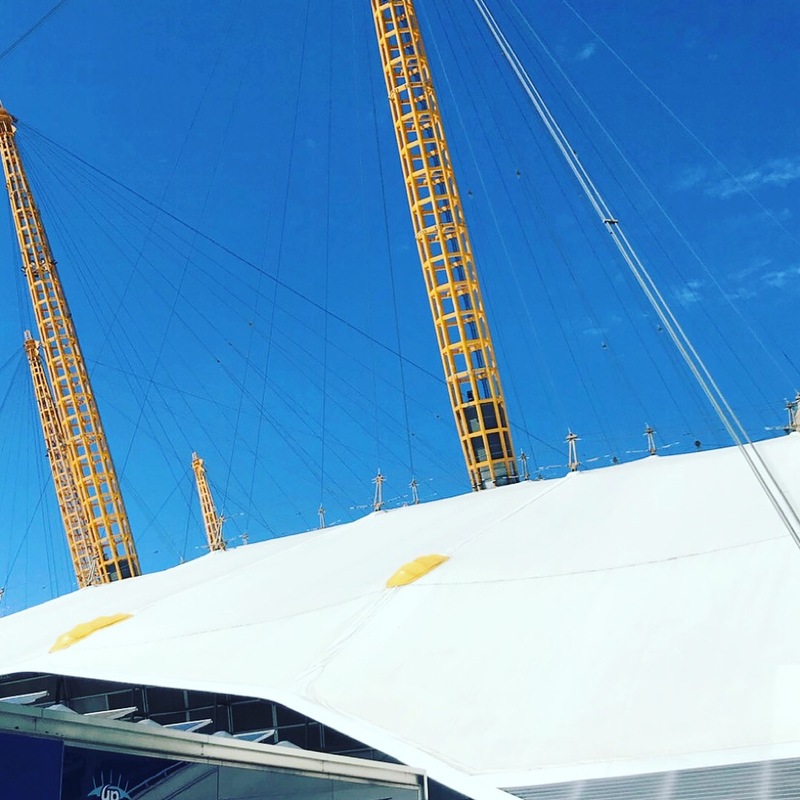 Up at the O2 has been around a while and a few of my friends have done it and said how good it was so I figured I’d see what it’s like too. My friends were right. It’s actually pretty good. If you hate heights then this is not one for you. Heights don’t actually bother me nowadays. I am of the opinion that you should try and do as many things as possible and enjoy every opportunity you have. The view of London from the top is amazing. The sun was beaming, the skies were so blue. The weather was just perfect. The climb itself I found relatively easy. I found myself just taking in the sights of London and really appreciating every moment. With the sun reflecting on the windows of the skyscrapers and speed boats racing across the Thames, it looked incredible. Everything I planned for the weekend involved heights. This may seem like a terrible thing to do to some if they don’t do heights but it’s not in my opinion. How can you overcome your fears if you never try to? Anyone can do anything if they really put their mind to it. I have a greater sense of achievement when I push myself, I’d rather push hard than let a fear defeat me. As mentioned before the one thing that really and truthfully scares me is Failure. It really is not an option. I’ll try everything once. In the evening, we headed to a restaurant I adore in Clerkenwell, London. It’s called Dans Le Noir. An experience I’ll continue to remember. Dinner in the dark You don’t actually know what you are eating until you leave the restaurant (Unless of course you have great taste buds and a brilliant sense of smell and can work it out) We were also taught how to say our name in sign language after our meal along with how are you? Please and Thank you. British Sign Language (BSL) was recognised as a minority language by the UK government in 2003 after years of campaigning by the Deaf Community. Action Deafness a friend of Dans Le Noir Restaurant work together to help with awareness to all those that visit the restaurant. The staff are incredible. The weekend really was Jam packed but I wouldn’t have wanted it any different. We crammed in so much though, that by the end of each day we were so tired, we could have slept for hours longer. Still lots more planned in the coming weeks. We have so much to look forward to in August. I just cannot contain my excitement. Yaaaaay! I haven’t been as active as I would have liked on social media, not only have I been extremely busy but I have made a conscious decision to avoid if for a bit. Too much drama if I am honest and I have far better things to focus on. I feel much better for it and all refreshed. But here I am, I’m back! All links below for the Slide, Walking the O2 & Dinner in the dark. Also if you would like to purchase a Melita Latham London gift for yourself or as a treat for someone you know, click on the Melita Latham London link. Thank you to everyone who takes the time to read my posts and those who subscribe to receive my newsletters. It’s very much appreciated.